SOUTHINGTON - A Plainville woman has pleaded not guilty to allegations she stole more than $2,000 from the Southington senior center. 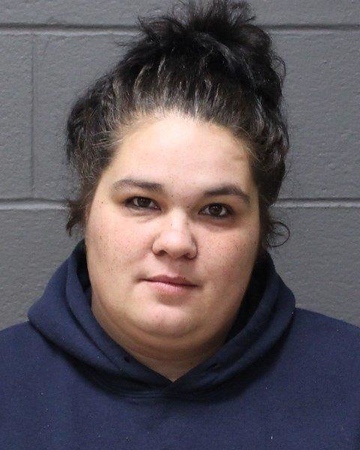 Melissa King, 37, allegedly stole cash and gift cards from the Calendar House, located at 388 Pleasant St., while working on the cleaning crew that serviced the building after hours, according to the arrest warrant. She appeared Thursday in Bristol Superior Court, where she pleaded not guilty to a felony count of third-degree larceny. Her case was continued to May 7. According to the warrant, employees from the Calendar House - a facility for residents 55 and over - reported on Nov. 20 that cash and gift cards had gone missing, including $845 for the Christmas party fund, $245 for the Christmas tree fund, $240 for the golf fund, $45 of petty cash, $5 from an employee’s desk drawer and $900 worth of $25 gift cards for Stop and Shop and Walgreens. In total, about $2,280 was reported missing. Police confronted the two members of the Calendar House’s cleaning crew the day after the theft was reported. While being interviewed, King admitted to taking about $200, but denied taking any more money or any gift cards, saying she doesn’t shop at Stop and Shop or Walgreens. The other member of the cleaning crew are not believed to have had any involvement. The employer of the cleaning crew told police during the investigation he intended to fire King. Posted in New Britain Herald, Southington Herald on Thursday, 4 April 2019 18:31. Updated: Thursday, 4 April 2019 18:34.